Kevin Gummerson began his coaching career as the head cross-country coach at Minooka High School in 1999, and he was hired as the head girls track coach in 2001. He was a 1994 Graduate of Schaumburg High School, where he ran for Jim Macnider. He then ran at Loyola University Chicago under Gordon Thomson. 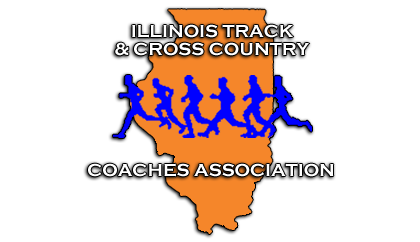 Since 1999, the Minooka boys cross-country team has won six conference championships, seven 3A regional titles, two 3A sectional titles, and qualified for the state championships seven times. Minooka has had five all-state finishes, with Soren Knudsen winning the 2016 state meet. The top team finish took place in 2010 when Minooka finished 12th. The girls cross-country team has won twelve conference championships, eleven regional championships, four sectional titles, and qualified for the state meet eleven times. The girls have had eleven all-state performances. The Indians won the 2015 State championship, and finished 3rd in 2016. In 2016, they went on to qualify for the NXN meet and earned a 16th-place national finish. Kevin’s wife, Tammy, is the head girls track and cross-country coach at Plainfield North High School They have two kids and live in Minooka.